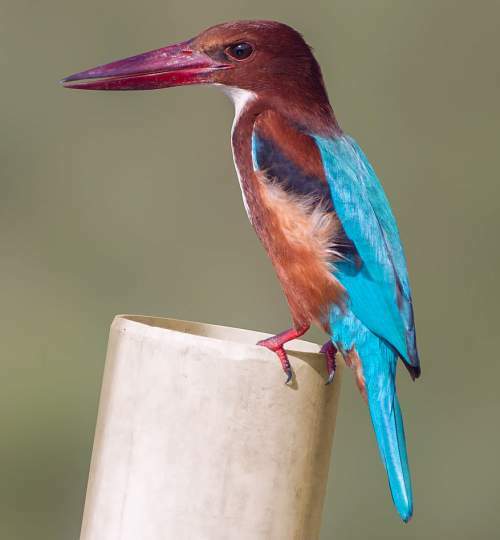 The White-breasted kingfisher (Halcyon smyrnensis) belongs to the family of kingfishers, the Alcedinidae under the order Coraciiformes. 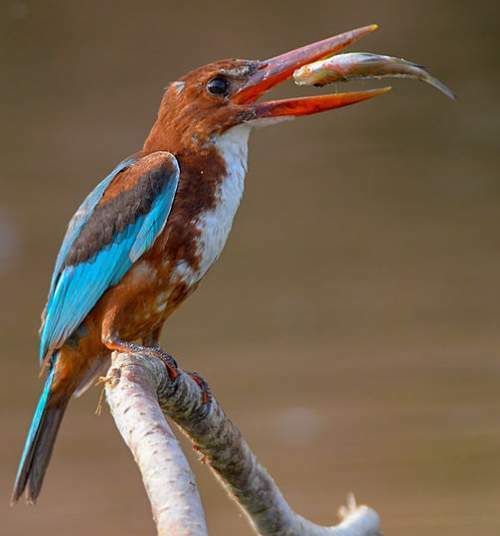 The Alcedinidae is the family of kingfishers. 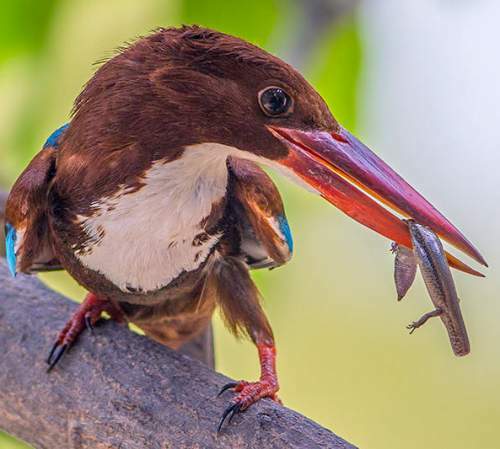 The family Alcedinidae was first introduced by Constantine Samuel Rafinesque-Schmaltz (October 22, 1783 – September 18, 1840), a zoologist, botanist, writer and polyglot, in the year 1815. The family Alcedinidae comprise three subfamilies, viz., Cerylinae, Halcyoninae and Alcedininae. The subfamily Halcyoninae was described by Nicholas Aylward Vigors (1785 – 26 October 1840), an Irish zoologist, in the year 1825. 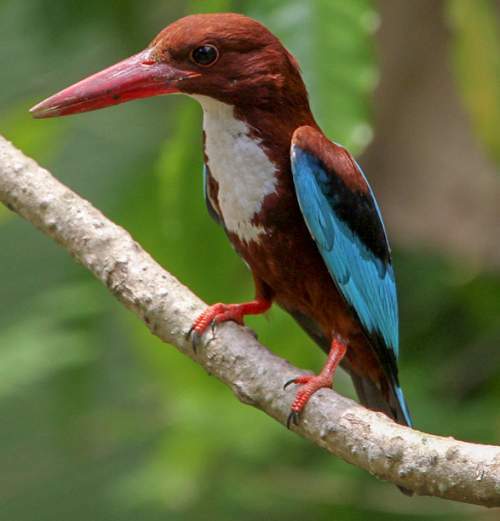 The subfamily Halcyoninae (tree kingfishers) comprises around 70 species divided into 12 genera, including Halcyon. 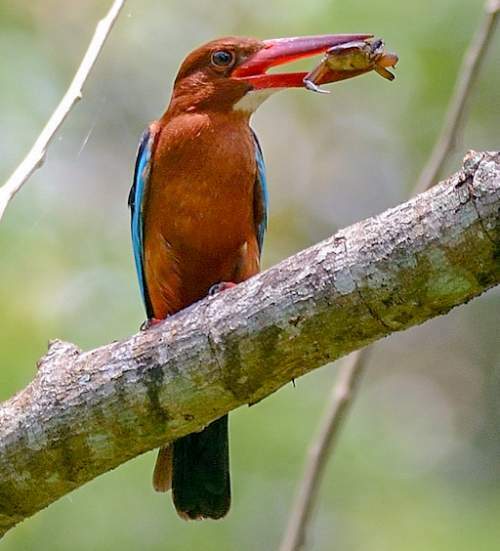 The genus Halcyon was first described by William John Swainson FLS, FRS (8 October 1789 – 6 December 1855), an English ornithologist, in the year 1821. The genus Halcyon comprise 11 species, including H. smyrnensis. 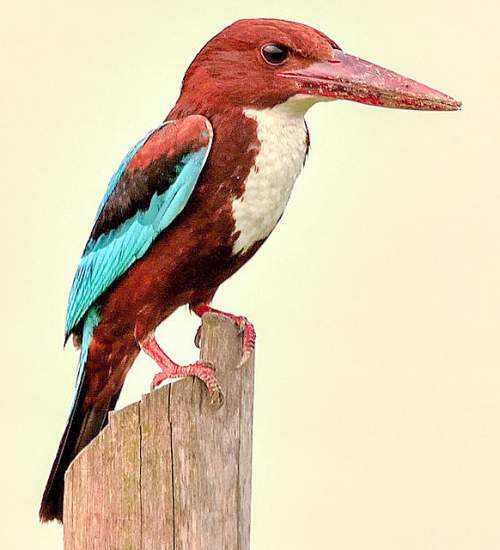 The kingfisher species Halcyon smyrnensis was first described by Carl Linnaeus, in the year 1758. 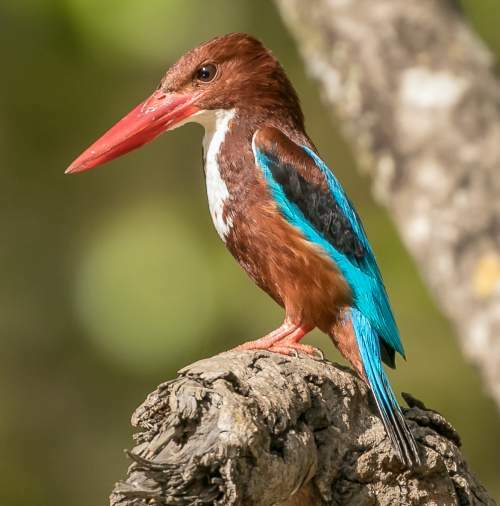 This kingfisher is polytypic. 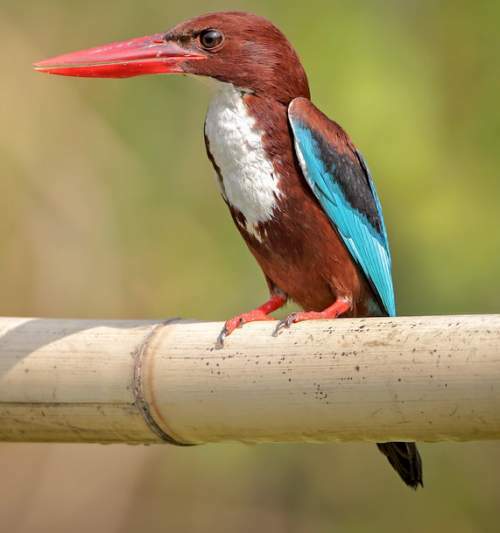 Current topic in Bird World: White-breasted kingfisher - Halcyon smyrnensis images.